Laser eye doctors have their work cut out for them. The eyes may seem like a small organ compared to the heart and lungs, but the role that the eyes partake in the human body is just as significant. Studies have shown a rise in patients reaching out to laser eye surgeons to correct visual impairments through laser eye surgery. As the number of laser eye correction procedures performed each year increases in areas like Concord and North Charlotte, laser eye doctors in clinics such as Cabarrus Eye Center are in high demand. What is the significance of laser eye surgery? Our eyesight deteriorates as we get older and most will probably end up having to depend on contact lenses or eye glasses to help improve their vision. Completing daily chores requires one to lead an active lifestyle. If you already have a lot on your plate, it becomes an inconvenience to have to worry about your contact lenses from drying out or having to keep in mind not to misplace your eye glasses. Allowing yourself to undertake the procedure of laser eye correction will not only improve your eyesight but will also break any undesirable bonds you have with the bothersome eye wear. 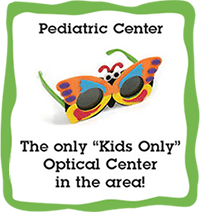 Luckily, there are a good handful of fully trained laser eye doctors in your area of Concord and north Charlotte that would be more than happy to assist you if any help is needed in making a decision. The major factor of the significance of laser eye surgery is to simply correct the vision of those effected with eye diseases or to help those who suffer from visual impairments see properly again. What type of eye complications benefit from laser eye correction? What goes on during laser eye surgery? The most common types of eye problems such as astigmatism and near-sightedness benefit from laser eye correction procedures. During laser eye surgery, laser eye surgeons cut a thin flap of the outer tissue of the cornea and fold this back. The cornea is then reshaped or any unwanted tissue is removed and the flap is put back in place. Laser eye surgery usually doesn’t last that long and recovery time may be anywhere from a couple of days to a week. How to choose the right laser eye doctors in your area of Concord and north Charlotte to perform laser eye surgery? Just like any surgery that is to be performed, knowing your surgeon and his/her capabilities are very important. Choosing the best laser eye surgeon should be at the top of your list as eye complications done incorrectly may cause you problems in the future. Look at your resources to gain more information regarding laser eye doctors. Most states require licensing in order for certain professionals to operate, so see if your eye surgeon is licensed. Board certification is a must as professions such as doctors and surgeons cannot operate without this. If you know and trust another doctor, have him/her recommend laser eye doctors for you. This way you are certain to get a reliable eye doctor. Your eyesight will only get worse in time, so call your local eye doctor today at Cabarrus Eye Center in Concord and build a path for a clearer and more defined future.